This entry was posted in lifestyle, photography, travel, Uncategorized and tagged Cabo de Roca, Lisbon Portugal, Porto Portugal, Portugal a top travel destination, Portugal travel, Sintra Portugal. Bookmark the permalink. I’ve not been to Portugal but want to go and your wonderful photos and writing make it all the more appealing! Thank you, Karen. Thank you Kay, for your kind words. You have traveled so much, I thought perhaps you might have been to Portugal. I know you would enjoy it. I have never been to Portugal but I would love to go especially after reading your post. Hi Gerlinde, I’m so sorry to be answering your comment so late. I just found it in my spam file…don’t know what happened. You would love Portugal, I’m so glad that we got a chance to see a little of it. Portugal is really a neat place, isn’t it? 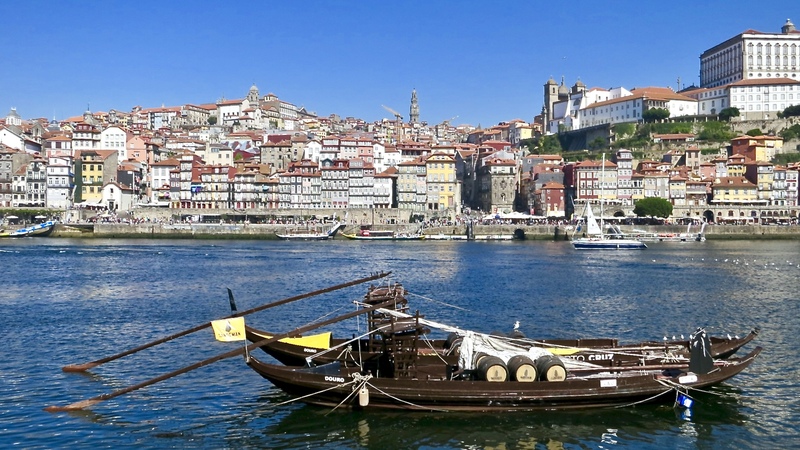 After Bordeaux, Porto and Lisbon were our two favorite ports on this itinerary. We’ll be back in Lisbon in a couple of years, and will definitely try to get to Sinatra — thanks for the tip. And thanks for such a fun post. Great pictures! Hi John, I’m glad that you enjoyed the post…it is fun knowing that we both did the same cruise but explored different things at each port. I do hope you make it to Sintra John, it is a beautiful town that looks like it was straight from a fairytale. I’d love to go back and spend more time there. Thanks, Karen for the snapshot of this lovely tiny country—I’ve always wanted to visit! I’ve been involved with historic restoration of buildings over the years and I hate to see what were once beautiful buildings slowly crumble from neglect and poorly thought out rules. Then you need to visit Savannah — SCAD— savannah college of art and design, is doing wonders in that city! This review makes one want to take a trip to Portugal. Well done. I’m glad you enjoyed the post on Portugal Jovina. We had heard so much about the country and it certainly didn’t disappoint on our first trip there. I just spent a week in Timor-Leste which has a rich Portuguese heritage. It would be interesting to visit Portugal to try the food there and make comparisons. Hi Gary, From the photos I’ve seen, the Portuguese left behind lots colonial architecture that looks like much we saw on our trip. I’ve sure lots of the foods are heavily influenced as well. Hopefully you will get the opportunity to make the comparison. Portugal is one of my favorite places I’ve every been to. It would probably be number one, if I hadn’t lived in Spain and fallen so in love with it. I LOVE those blue and white tile facades — absolutely gorgeous. I adored the old parts of Porto and spent a lot of time by the water. You’ve inspired me to go back! Your photos are great and I love the slide shows! Hi Valentina, It would be hard pressed for me to choose between Portugal and Spain as well. I’m happy that you enjoyed the post and photos and that they have made you want to return to Portugal. It’s poring down rain (We need it badly.) and gray outside. The sunshine draped photos have me dreaming of travels to places of warmth and sunshine. Bravo, Karen! Sorry to have taken so long to answer. I’m glad that you enjoyed the photos from Portugal, thank you. I have not been to Lisbon but we loved Porto, We stayed with friends in Tavira and more friends in Burgau, then drove straight past Lisbon to Porto. Just love all the Portuguese mosaic work i is beautiful. Hi Diane, All is well, I’ve kept up with your travels but can’t comment on your posts. Porto was wonderful as was Lisbon. I want to go back to Portugal as I don’t feel we got enough on the cruise we took. We thoroughly enjoyed Porto, the town and the port! Hi Linda, That is the one downside with cruising, you just get one day in each port. I would like to see more of Portugal myself. What fantastic pictures – you’ve really done justice to the beautiful buildings, tiles and scenery. Thank you Mad Dog, for your lovely compliment. Loved on the wonderful architecture in Portugal. Hi Freja, Thank you for your visit and nice compliment. Yes, Portugal is much warmer than Denmark…especially this time of the year. Everyone who visits Portugal loves it! Although we live in Spain, we still haven’t been. One day soon, I’m sure. Your post describes it well. Hi Darlene, I do hope you get a chance to visit Portugal, I know you would love it. Hi Susan, Yes we lucked out with the visit to Sandeman as it is my favorite tawny port as well. Always I heard Portugal is absolutely beauty and really is looking yours pictures. Hi Gloria, This was our first visit to Portugal and we thought it was wonderful. Thank you so much for your wonderful photography of places my travels have as yet to reach. Methinks Sintra would have drawn me the most also . . . Two matters one may not appreciate on a short visual visit: the simple but wonderful food . . .and the fact of a multitude of British expats retired to the country to appreciate the low cost of living and a far better climate than GB :_ ! 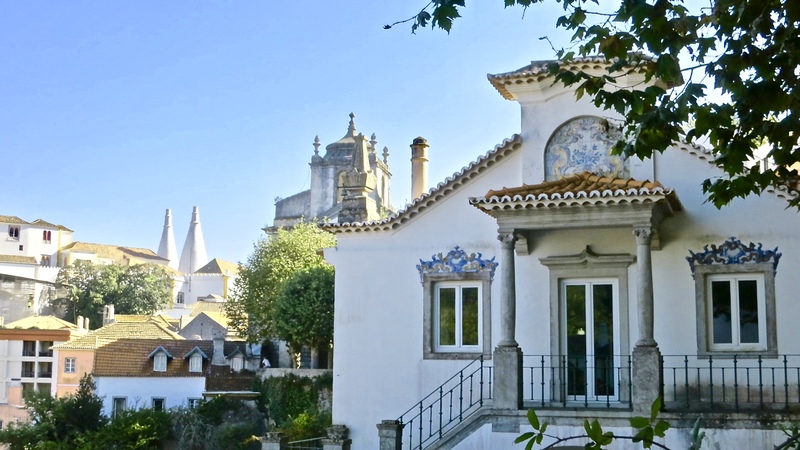 Hi Eha, I would love to go back to Sintra and stay for several days. There is so much to see in that area. Oh Karen…Portugal is on my list of places that I want to visit…growing up in Brazil and all the history we learned in school…thank you so much for sharing this post with so many pictures. Hi Juliana, I do hope you get a chance to visit Portugal some day…I wish we could have visited more of the country. Karen, I haven’t been to Portugal, but your photos are stunning and make me want to put it on my bucket list. Thanks for sharing. Hi Pam, Do put Portugal on your bucket list…I’m hoping to get the chance to return to see more of the country myself. Thank you as always for your nice compliment, I’m glad you enjoyed the photos. Those photos are so beautiful and make me want to go pack and visit portugal immediately! Thanks for sharing, Karen. Thank you for your nice compliment Angie, I’m glad that you enjoyed the photos from Portugal. I do hope you get a chance to visit. Gorgeous photos, you’ve captured Portugal perfectly! Hi Laura, I appreciate your nice compliment on my photos from Portugal…thank you! Portugal is one of the last places for me to visit in Western Europe, although Iceland fascinates me slightly more (though it is more expensive). Anyway, thank you for this introduction to Portugal. It is a shame to see the facades of buildings in a state of disrepair but hopefully that will change before it is too late! Hi Judy, Don’t you just love all the beautiful tile work in Portugal…I thought it was outstanding. Thank you Larry for your nice compliment. Karen, thank you for the mini vacation this morning! I like the way you presented the beauty of Portugal without glossing over the negative aspects that travelers need to be aware of. I appreciate your kind words Jean. Yes, we loved our visit to Portugal and would definitely like to return. I know that lots of people might want to visit the country and I like to let them know exactly what I experienced. Beautiful! We were in Porto and Lisbon in 2015 and loved every minute! Your photos caught the beauty! Hi Julie, I’m glad that you enjoyed the photos and that they reminded you of your own visit to Porto and Lisbon. Portugal looks lovely and a place we’d love to visit one day. Oh and we’d definitely go to Porto as Port is one of my favorite drinks to have with cheese or anything else. As always, your photos are grand. The coastline photos are breathtaking. Lovely post, Karen. Thank you for your lovely compliment, I’m happy that you enjoyed the Photos Ron. The coast of Portugal was magnificent…I wish the camera could capture the beauty better. Yes, I’m with you about port, I enjoy it as well. The country of my ancestors which I hope to visit one day. Thank you for the beautiful pictures and information. Hi Denise, I do hope you get the opportunity to make a trip to Portugal, it is a lovely country. Portugal looks beautiful! Would love to visit. Great post. Hi Ann Marie, I appreciate your visit and nice compliment…thank you. Beautiful shots. I do love Portugal! Hi Ladyfi, Isn’t Portugal wonderful. I’m glad you enjoyed the photos. Those colors and scenery are magnificent! I haven’t been to Portugal yet…but it is definitely on my list! By the way, I host a travel link party on the first Friday of the month called – Take Me Away. I would love for you to link up next week! Enjoy your weekend! Hi Shelley, I appreciate your visit and lovely compliment. Do put Portugal on your bucket list, you won’t regret it. We have friends and family that has traveled to Portugal and all have returned home with rave reviews. I really enjoyed this post with all its information. I love to visit fairy tale villages when we are in Europe and Sintra and Pena Palace are must sees. We do hope to get there some day, actually I can’t believe we haven’t already visited there. Great post. I always enjoy your informative posts and beautiful photos. I appreciate your kind words Emily, I’m so happy that you enjoyed my post about Portugal…I know you would love Portugal, especially Sintra. I adore all of those colours (and similarly the Sino Portugeuse colours in other countries). I was given a Portuguese cookbook and the food looks so wonderful. Hi Lorraine, The colors, the tile work, Portugal is a sight to behold. And yes, all the delicious food, I bet your cookbook has some wonderful recipes. Not sure I would ever get to visiting Portugal but what a treat it would be if I could. Have a wonderful weekend Karen. Hi Mandy, We loved our first trip to Portugal and we really enjoyed it. Perhaps you too will get a chance to visit. Hi Fatima, I too hope we get a chance to visit more of Portugal, we really enjoyed the country. It was disheartening to see beautiful old buildings in disrepair but hopefully that will be remedied in the coming years. My niece recently went to Portugal, and loved it. I can see why! Hi Jeff, It seems that all of us that visit Portugal fall in love with the country. This is not a country on my list of places to visit, but I can see the attraction. We have a few friends with second homes there. So sad that the building are falling into ruin – just does not make sense to let that happen. Hi Tandy, You might think of adding Portugal to your list of places to visit…I’m sure you would enjoy it very much. I’m hoping we get a chance to return. Definitely on my bucket list. Everyone I know who has been just loved it. Your photos are wonderful. I know what you mean Eva, friends of ours kept raving about Portugal and now I know why. Portugal is a hugely popular vacation destination for the Irish. We have not yet visited, although it has been on our list for a few years now. Delighted you had such a lovely time! Hi Dana, It seems that Italy and France are high on lists here in the US but Portugal is certainly gaining popularity and I would recommend it to all travelers. Portugal is somewhere I have wanted to go for ages, great photos! Hi Caroline, I do hope you get a chance to visit Portugal soon, I know you would have a nice visit. Thank you for your compliment, I’m glad you enjoyed the photos. Spectacular photos Karen. I will have to add Portugal to my bucket list! Thank you Inger, for your nice compliment about my photos of Portugal. I do believe you would enjoy visiting there. Thank you Kathryn, I’m happy to know you enjoyed the post on Portugal. I do hope you get a chance to visit the country, we certainly did enjoy it. Oh there is a lot of color! I love color which is why I love Mexican decor. Lisbon looks like a very lovely place and that coastline is breathtaking. Hi MJ, I agree with you about the color. I think Portugal is stunning with all its colorfully tiled buildings. Beautiful pictures! I would love to visit Portugal as well. Thank you Adina, I’m happy to know that you enjoyed the photos of Portugal. Wow it all looks beautiful, especially those sea side photos and views! Hi Amy, the seacoast of Portugal was outstandingly beautiful. Portugal has long been at the top of our list, Karen – and your photos are keeping it there! When do you think is a good time to visit Portugal for someone who doesn’t like intense heat and humidity together? Hi David, I do hope you and Mark get a chance to visit Portugal, it is a country I would love to visit again. For both Spain and Portugal, I would definitely go in the fall when it is not so hot. We were in Portugal the last week of September and the weather was fine. I have not been to Portugal. But port, oh, port… I think I need to remedy that. Another splendid destination for this armchair tourist before I go to work. Thanks for your fabulous images and writing. Thank you Peter, I always appreciate your wonderful compliments. I DO hope we make it to Spain and Portugal one day (besides the Madrid airport!). This area looks incredible!! Hi Liz, Yes you would certainly enjoy visiting Spain and Portugal…wonderful countries that we hope to go back to in the future. It’s a big world out there, but I hope you get to come back. 🙂 🙂 Gorgeous photos, Karen, but there are no shortage of opportunities, are there? Hi Jo, I’m hoping that my husband and I do get a chance to return to Portugal. After our very brief visit, I know why you feel in love with the country. We love Portugal. Have Yu ever visited its islands – Madeira and Azores? Both of them are worth for visit. Thank you Sartenada, I”m glad you enjoyed the post. No I’ve not been to Madeira or the Azores…I’ll have to put them on my wish list.